For Brett, the busy stretch began in August 2017 with a trip to the Canadian junior camp and a couple days breaking bread with other top prospects at the 2017 NHLPA rookie showcase in Toronto. The 2016 first-round draft pick (27th overall) of the Tampa Bay Lightning then was off to training camp with the Lightning before he was returned to play his fourth-and-final junior season with the Moose Jaw Warriors. Meanwhile, Quinton’s year already was in full swing as he embarked on his first season in the KHL with Minsk Dynamo after he split the past five seasons between the AHL and NHL, having performed in 97 regular season games with the Florida Panthers and his hometown Winnipeg Jets. The Howdens began their respective years in fine fashion. Brett made the Canadian junior team and celebrated gold with the same program that Quinton played for in 2011 and 2012, earning silver and bronze medals, respectively. A few days after Brett and his Canadian junior teammates experienced the thrill of victory with their gold-medal effort in Buffalo last January, the young forward was asked for one more favour for Hockey Canada. “How would you like to phone your older brother Quinton to tell him he has made the Canadian Olympic team?” was the request. Quinton, six years older, was hanging out with friends in Belarus when his mobile phone rang. Quinton, a first-round selection (25th overall) of the Florida Panthers in 2010, signed with the hometown Jets two summers ago. But his season resulted in only five NHL games and 58 with its AHL affiliate, the Manitoba Moose. So he decided the timing was right to play for Minsk to continue his hockey career and possibly earn a spot on the Canadian Olympic roster. Back in Moose Jaw, Brett tried to watch as much of Quinton’s Olympic journey as possible in PyeongChang, South Korea. Just a few days after Canada’s gutsy winning effort in the bronze medal game, it was Brett’s phone that rang this time. 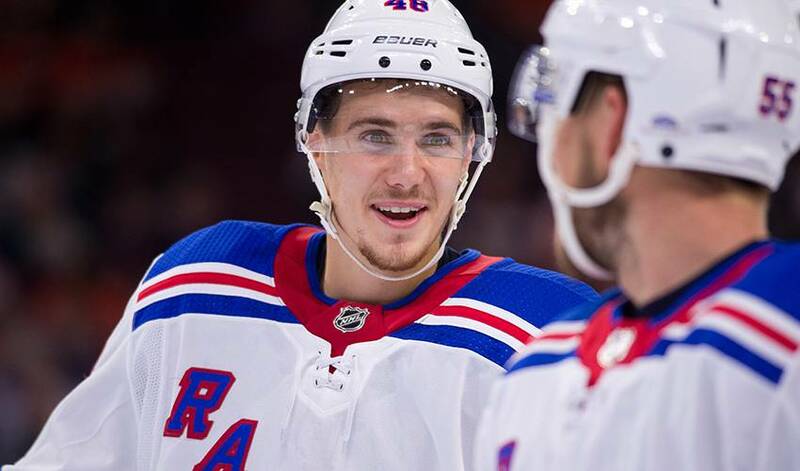 He had been traded by the Lightning to the Rangers in a move that sent defenceman Ryan McDonagh to Tampa Bay. Just like he has been throughout his career, the older brother helped his younger brother deal with the shock of being traded. “We hang out more now than we did when we were younger because of the age difference,” said the 20-year-old Brett, who often made the six-hour drive from their Oakbank, Manitoba, home to Moose Jaw, Saskatchewan for weekend games when Quinton played for the Warriors. The Howdens are different players. They are both left-shot forwards, but Quinton was moved from centre to left wing after junior. Quinton is known for his speed game, while his younger brother has a keen hockey sense and is more of a two-way player. It was difficult for Brett to have fun when he first arrived in Moose Jaw to follow in his brother’s footsteps. There were constant comparisons as both wore sweater No. 21, lived with the same billet family and attended the same high school. But through talks with his parent and Quinton, the younger Howden overcame the difficulties and now he’s about to begin his NHL career with the Rangers.